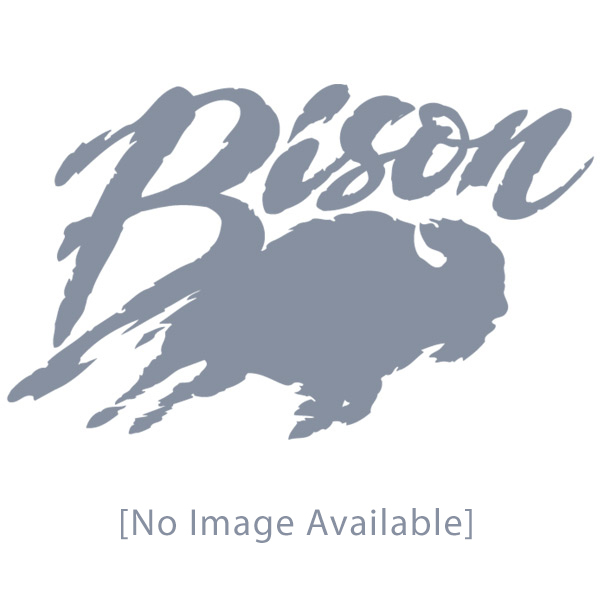 Combo Portable Football/Soccer Goal - Bison, Inc. 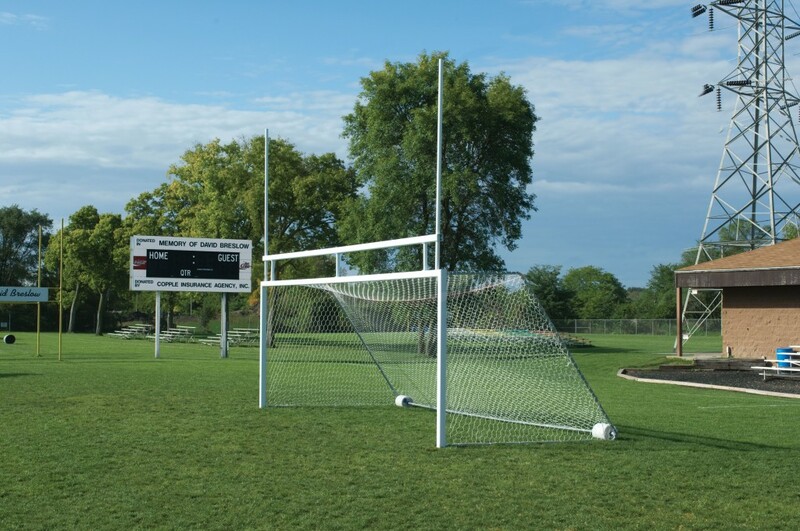 When soccer and football teams share space…Combo Goals are the answer • Constructed of weatherproof 4″ square aluminum extrusions • Nets attach with popular Bison exclusive QwikTrack system • 4″ square upright and crossbar extrusions have large corner radii for superior player safety and have a bright white, textured powder coated finish • Official 24′ (w) x 8′ (h) soccer goals and official 10′ high football crossbar and 10′ uprights that can be installed either at 23′ 4″ high school width or 18′ 6″ college width • Order FB10EXT-WT to extend uprights from 10′ to 20′ height • Portable Combo Goals add the convenience of portability and built-in No-Tip ballast system • No-Tip system insures safety without the inconvenience of ballast bags, ground anchors or other anchor systems that are often forgotten, lost, discarded or ineffective • The rear ballasts double as transport wheels allowing movement on and off the field to improve space utilization. 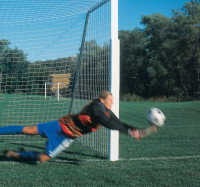 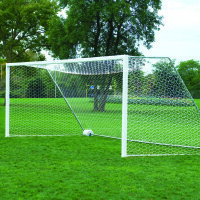 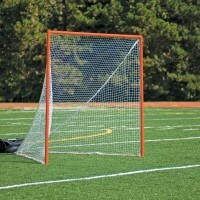 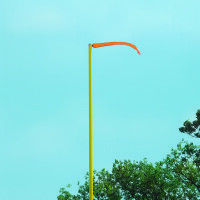 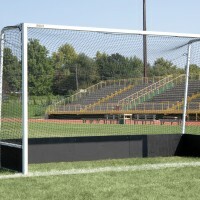 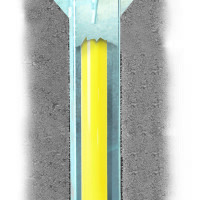 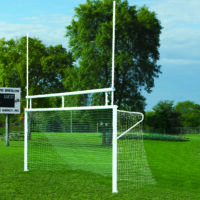 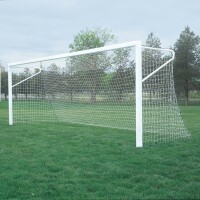 Note: Due to the added weight of the football crossbar and uprights, goal transport typically requires four people • Includes soccer nets • Five-year limited warranties • Sold in pairs.